I'm so happy to be finally sharing this on my blog! 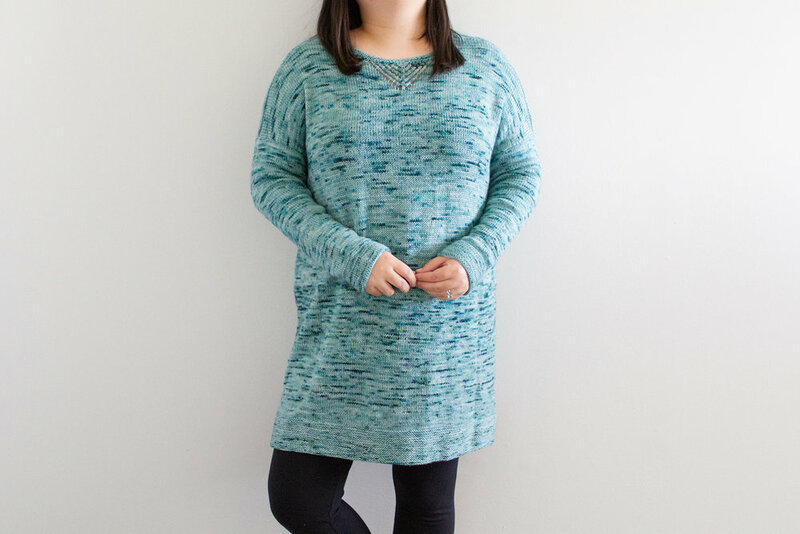 I finished this sweater almost a month ago, and really happy with it! 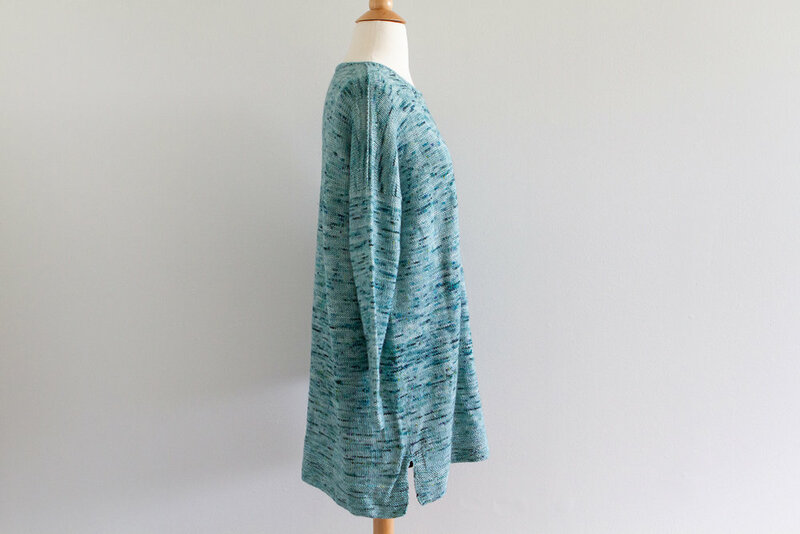 I started knitting this sweater in February—I had been eying on one of Joji Locatelli's pattern called I See Spring. 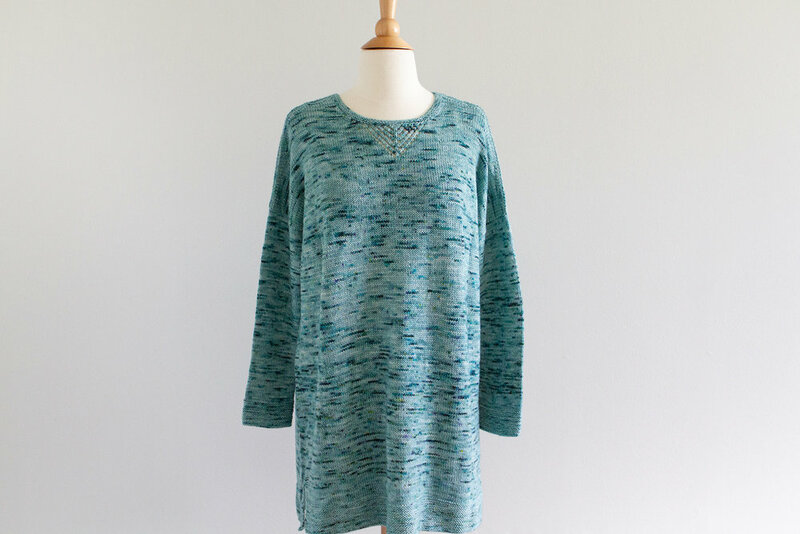 It's a simple boxy sweater with a little lace detail in the front. I really love the mixture of the simplicity and a little bit of an interesting design. I also really liked that she used speckled yarn! There are so many beautiful hand-dyed speckled yarn out there but I was never really sure what I should use them for other than socks. I picked up Fino by Julie Asselin at my local yarn shop in colourway Aerial. Fino is a blend of 75% wool, 15% cashmere, and 10% silk. It is one of the most gorgeous luxurious yarn I ever worked with and it knits and feels like a dream. It's definitely soft enough to be worn next to skin! Silk (and maybe cashmere too) content have a bit of cool feeling to it which is great for me because I don't want to be too hot. I mostly knit as the pattern instructed, until I got to closer to the hem. 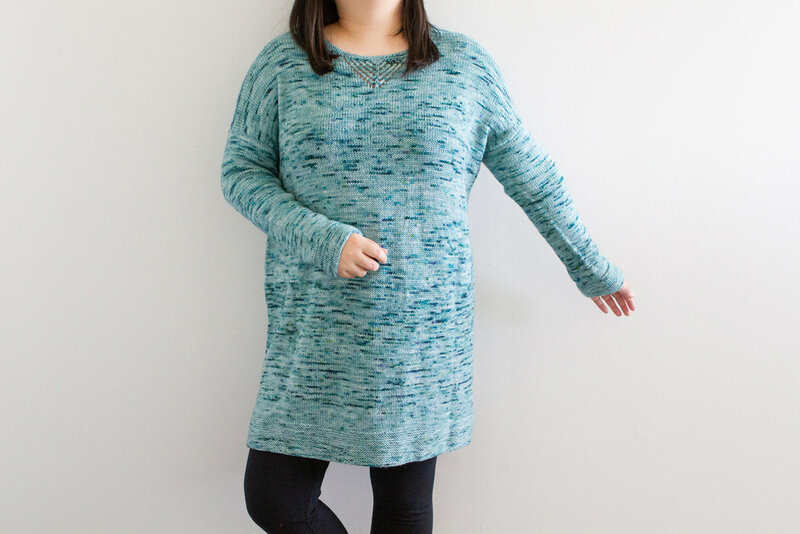 The pattern suggests pretty curved high and low hem but I wanted to use up all of my yarn, so I decided to to long straight hem instead! This is such a comfortable sweater! Since I went with a longer length, I can throw it over a pair of leggings for an extra cozy-ness. The shoulder "visible seam" lines are so clever! It adds a stylish detail to the sweater, don't you think? 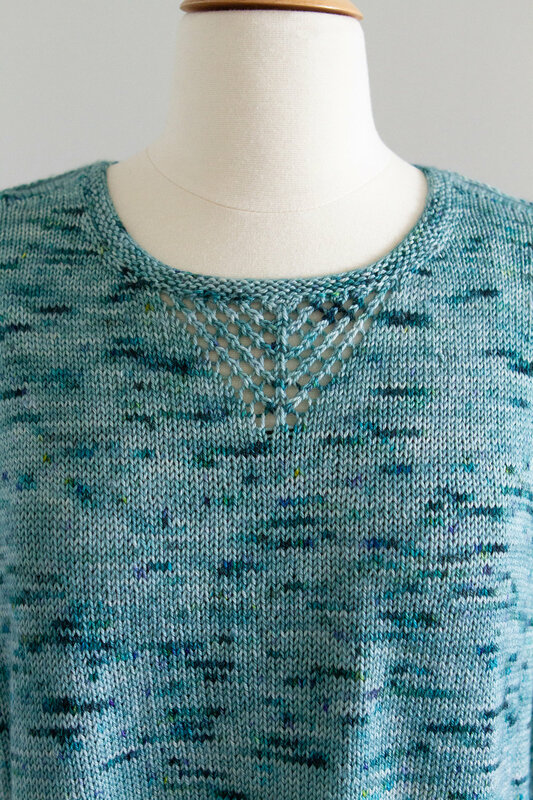 The front lace is simple and really easy to do, and it's another pretty detail! I alternated the skeins since this yarn is hand-dyed and speckles varies slightly each skein. You can still see the darker spots and lighter coloured spots but I really don't mind! I think the colour and the speckles are beautiful either way. Now that this is finished, I can't wait for the sweater weather to come!